NORWAY, IOWA (November 30, 2010) – – In response to a recall commenced by its supplier (Mincing Overseas Spice Company, Dayton, New Jersey), Frontier Natural Products Co-op, is voluntarily recalling two products manufactured with non-organic nutmeg that were sold under the Frontier brand and under the Whole Foods Market brand listed below that contain nutmeg supplied by Mincing Overseas Spice Company. 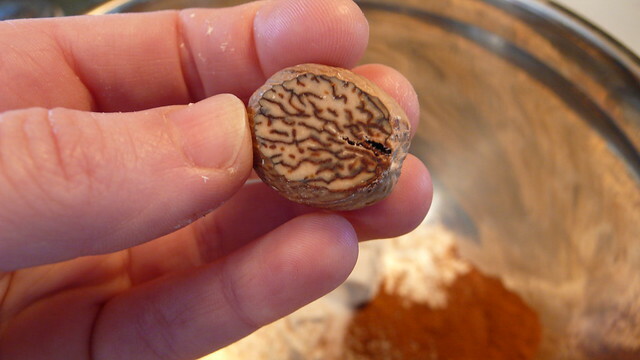 The nutmeg has the potential to be contaminated with Salmonella. On the bulk package, the lot code will be found on the front label directly above the UPC code. On the bottled glass item the lot codes can be found on the bottom of the bottle. No illnesses have been associated with these Frontier or Whole Foods Market products but proceed to the FDA web-site (www.fda.gov) for updated information. Frontier is initiating recall notices to our accounts who received any of the above recalled products with instructions for returning or destroying the recalled products and for notifying their customers of the recall. Consumers should not consume these products. Please contact Frontier with any questions or to inquire about replacement or reimbursement at 1-800-669-3275 . Monday through Friday from 8:00am to 5:00pm Central time. If you have a Whole Foods item please contact your local store. Images of the products above can be seen by going to the following link: http://www.frontiercoop.com/recall/nutmeg. Posted by Kelly Christiansen on Dec 3 2010. Filed under Health. You can follow any responses to this entry through the RSS 2.0. Both comments and pings are currently closed.